Home > Search training results > What is the Role of a Youth Peer Advocate? Youth Peer Advocates work in many settings, and while each is slightly different, there is some common wisdom we can share about how to support Youth Peer Advocates and be sure everyone is on the same page when it comes to their role. 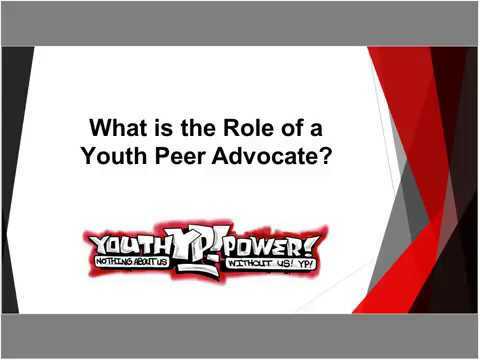 The webinar includes practical tips on how you can support a Youth Peer Advocate and promote their integration into the youth’s service provider team.